At the end of last week I put out my rankings for the best actor in a supporting role category and I will continue my Oscar nominee rankings with the best director category. This is a category that I have high regards towards as direction is the most important element in creating a film since the director oversees almost everything that goes into it. Usually the director is involved in either writing, co-writing or closely working with the writer of the script. The director has the vision for the film and oversees most of the production, whether it’s casting, production design or any of the number of aspects that go into a movie. The director especially has a huge hand in working with the actors in a film and trying to get the best performance possible from the actors. As you can tell, it is not an easy job being a movie director and that’s why there is a category specifically for this job at the Academy Awards. This past year there have been some strong outings from some great directors, but only five can be nominated and only one can win! 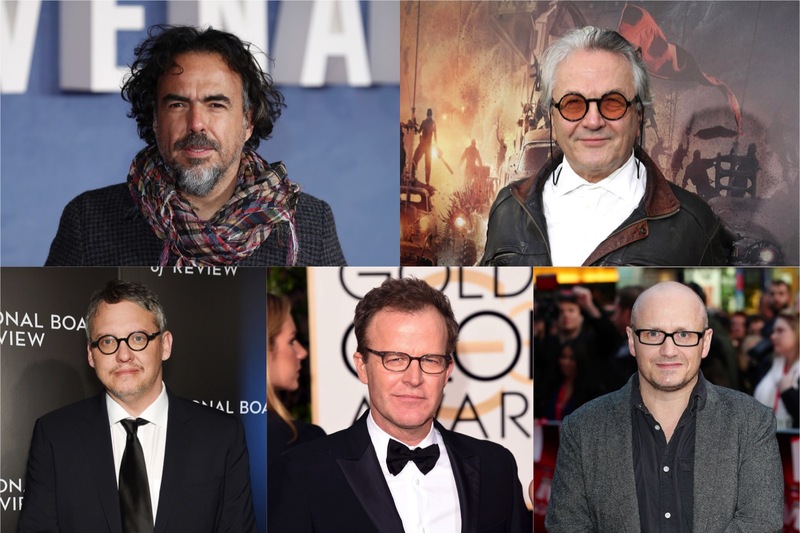 Let’s take a look at my rankings for this year’s best direction nominees which include Adam McKay (The Big Short), George Miller (Mad Max: Fury Road), Lenny Abrahamson (Room), Alejandro G. Iñárritu (The Revenant) and Tom McCarthy (Spotlight). Keep in my that I had such a hard time ranking this category, they all did an amazing job at directing these films but I had to ultimately decide. Like I said, all of these directors did a phenomenal job at directing their films and just because Iñárritu is at the bottom of my ranking list doesn’t mean I think lesser of his effort. 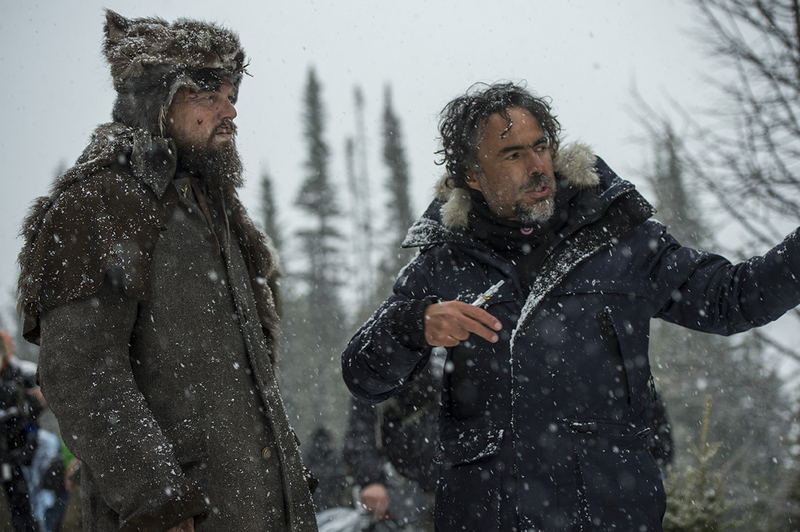 I really enjoyed The Revenant and most of its brilliance lies within the direction. One thing that cannot be denied about the film is that it has two of the best performances of the year from DiCaprio and Hardy. They are both nominated for an Oscar this year and they can thank Iñárritu for that. Although he is the reigning best director winner from last year’s Birdman, I do think Iñárritu is going to have a hard time taking the gold from one of his competitors this year but I won’t be surprised if he does win, and you shouldn’t be either. I was both really surprised by The Big Short and I little bit disappointed in it, not due to the quality of the film but the expectations I had as far as what I envisioned the movie being. It was actually better than I thought it was going to be, I just had a different vision for it. The biggest surprise to me is that director Adam McKay, who is known for comedies such as Step Brothers and Anchorman, directed a best picture worthy film. He deserves props for doing such a great job at telling a very difficult story that involves a lot of numbers and economical terms, which could’ve easily lost the audience. He also got some great performances from one hell of a cast. I wouldn’t be surprised if McKay took this award either. I just watched Spotlight for the second time last night and I’ve got to admit it’s really difficult not putting McCarthy at the number one spot on my this list. As soon as this movie starts it draws you in and its a non-stop roller coaster ride from beginning to end. Everything from the tone, the acting and especially the pacing is on-point which is all heavily influenced by the direction of McCarthy. It’s almost a flawless movie and it definitely deserves all of the praise it is receiving. As my fellow Apocaflix! Movies’ members know, I do not think Mad Max: Fury Road is the masterpiece everyone in the film world is making it out to be. I think it’s a really good movie but I have problems with it that prevent it from being one of the best movies of the year in my opinion. However, that does not take away from George Miller’s directing which I believe is amazing and the best thing to take away from the film. Something I ask myself when considering the direction of a movie is; How difficult was this movie to direct? In the case of Mad Max: Fury Road I think it was the hardest movie to direct of the year when you consider that it’s just one huge action chase scene. Also, when you consider the fact that George Miller is seventy years-old and he was able to bring so much energy to this movie, it is truly an accomplishment. For those who listen to our podcast, you might already know how much I love this movie. It is arguably the best film of the year in my opinion and with it being such a contained movie, the film heavily relies on the direction. Prior to seeing Room I already thought highly of Brie Larson but McCarthy has made her into a freakin’ superstar! I personally believe she is going to win the best actress award this year at the Oscars and along with her talent, she has Lenny Abrahamson to thank if she does. I wouldn’t be surprised if Room walks away with several Oscars this year including Best Picture, Best Leading Actress, Best Adapted Screenplay and Best Director. The tone, pacing and creepiness of the movie are all mastered in Room and that is mostly due to the direction of Abrahamson. Okay, I’m done praising the movie but seriously if you haven’t seen Room then it should be next on your list if you appreciate brilliant film-making. There you have it movie lovers, my rankings for the Best Director category! This is going to be one of the tougher categories to predict but I honestly won’t be upset if either candidate wins. I personally think it will be Miller or Abrahamson but we’ll just have to wait and see! Let me know in the comment section if you agree with my list or who you think will win best director at the Oscars this year. Check out my rankings for Best Supporting Actor here!